In a paper to be published today in the journal Science Advances, lead author Karen Meech of the University of Hawai`i's Institute for Astronomy and her colleagues conclude that C/2014 S3 (PANSTARRS) formed in the inner Solar System at the same time as the Earth itself, but was ejected at a very early stage. Karen Meech explains the unexpected observation: "We already knew of many asteroids, but they have all been baked by billions of years near the Sun. 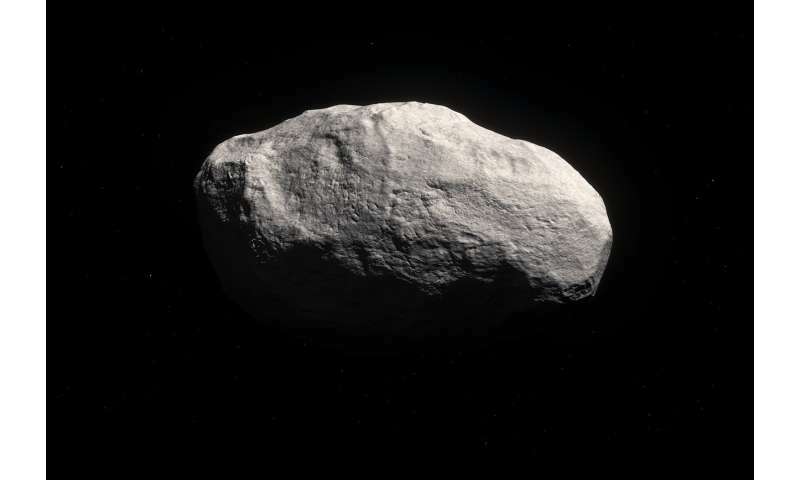 This one is the first uncooked asteroid we could observe: it has been preserved in the best freezer there is." The team immediately noticed that C/2014 S3 (PANSTARRS) was unusual, as it does not have the characteristic tail that most long-period comets have when they approach so close to the Sun. As a result, it has been dubbed a Manx comet, after the [tailless cat]. Within weeks of its discovery, the team obtained spectra of the very faint object with ESO's Very Large Telescope in Chile. Co-author Olivier Hainaut (ESO, Garching, Germany), concludes: "We've found the first rocky comet, and we are looking for others. Depending how many we find, we will know whether the giant planets danced across the Solar System when they were young, or if they grew up quietly without moving much."